Intended for High Voltage, High Current, Switching Applications. ZTX851 NPN SILICON PLANAR MEDIUM POWER HIGH CURRENT TRANSISTOR View Diodes Incorporated. 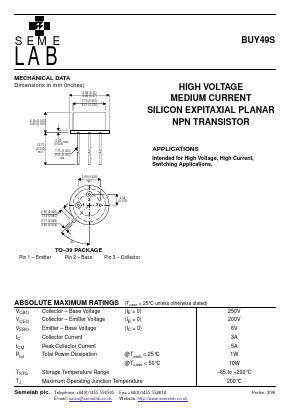 ZTX658 NPN SILICON PLANAR MEDIUM POWER HIGH VOLTAGE TRANSISTOR View Diodes Incorporated. ZTX968 PNP SILICON PLANAR MEDIUM POWER HIGH CURRENT TRANSISTOR View Diodes Incorporated. ZTX949 PNP SILICON PLANAR MEDIUM POWER HIGH CURRENT TRANSISTOR View Diodes Incorporated.